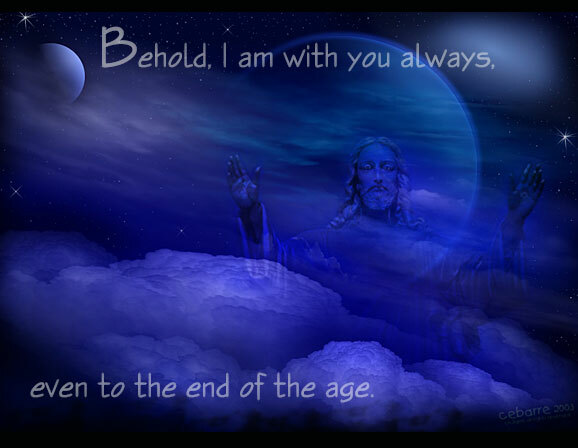 "and, lo, I am with you always, even unto the end of the world. Amen"
And raise our Praises up to the Lord. Jesus will be with you through all of your days. Where're we are~~~Our Lord can be found. When we laugh, He is there, and He cries for our sake. Whether working or playing; in leisure or strain. The Lord is with us~~~ is our only refrain. Tell all that is within you Bless His Holy Name. From this day onward, your life won't be the same.